For the latest information on road conditions, visit the Department of Transportation’s website. 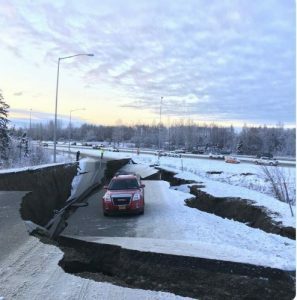 Significant road damage remains following the 7.0 earthquake that struck Southcentral Alaska on Friday. As of Saturday morning, the state Department of Transportation had documented over 40 damaged sites. DOT reports that many aftershocks have continued to cause cracking and settling. DOT spokeswoman Shannon McCarthy says there are two areas in particular drivers should be aware of. She points to one area on the Glenn Highway. McCarthy advised drivers to add significant time to their commute if they plan on traveling through those areas. The other area drivers should be especially aware of is the Seward Highway, south of Anchorage. McCarthy said the road is open, but aftershocks are causing rockfall and they are not recommending travel unless it is an absolute necessity. The interchange in Palmer remained shut down as of Saturday morning. 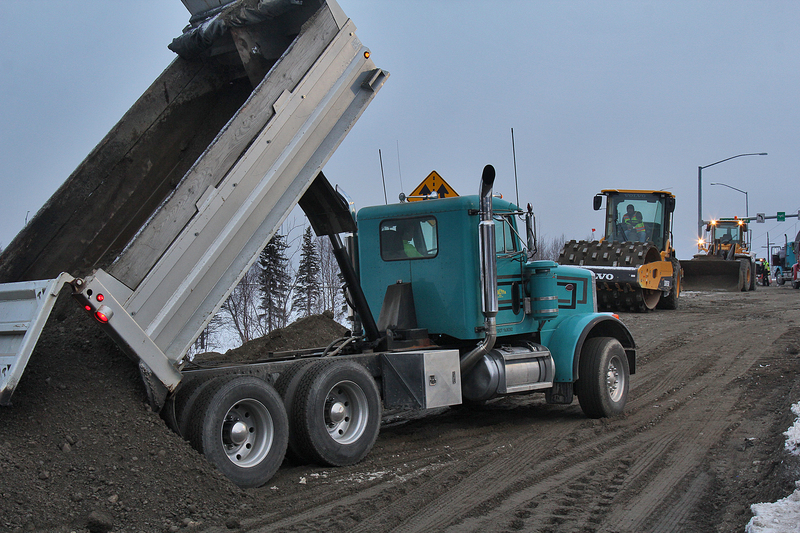 There is also a detour in Eagle River to get around the northbound Eagle River bridge. To make matters more complicated, McCarthy said the weather service alerted DOT that poor weather conditions are on the way. McCarthy says DOT workers and contractors are working on repairs around the clock, but at this time she did not have a good estimate on when that work will be finished. She also didn’t have an estimate of how much repairs will ultimately cost, but she said it’s safe to say it will be in the millions of dollars.